With many years of experience trading in shipping containers there's not much we haven't done with them. They're very versatile. If you ever need a container - and a lot of people do - we can help. Parsons Containers Ltd. are an established independent supplier of shipping containers by sale and hire in the North East of England where we have supplied customers with quality container stores and applications for many years. We also supply containers and container services by our brands ContainerContainer and U Hold The Key Self Storage. 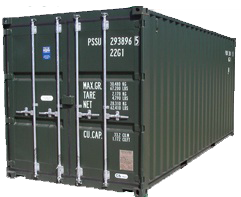 ContainerContainer is the trading name of our national container supply company. Via the ContainerContainer web site we supply containers for all applications right across the Uk by sale and by hire. We specialise in supplying bespoke container projects and working with our customers to make their plans and designs a reality. 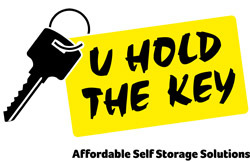 U Hold the Key is one of the largest and longest established container self-storage businesses in the UK with sites throughout the North East of England and alongside the A1 near Grantham. All of our brands are associated with quality personal service. Parsons Group Email Newsletter Signup! Keep up to date with everything going on within the Parsons Group, including Parsons Containers Ltd, U Hold the Key - Self Storage, ContainerContainer & Containers-Now! "Parsons were able to take our 'dodgy sketches' and come up with a design that was safe, practical, user friendly and to a modest budget. These units have been well received and have proven to be a shrewd solution to an age-old problem.